Asked... have I built a 30m 4SQ? The bit of any trip I like least... the QSL cards. 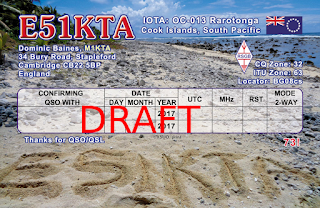 I had considered a QSL manager but will do these myself. So far quite a few OQRS and direct requests. For all you nice ops out there that managed a QSO especially on 160m or 80m DONATIONS via OQRS are accepted I paid for the trip myself there was no sponsorship. 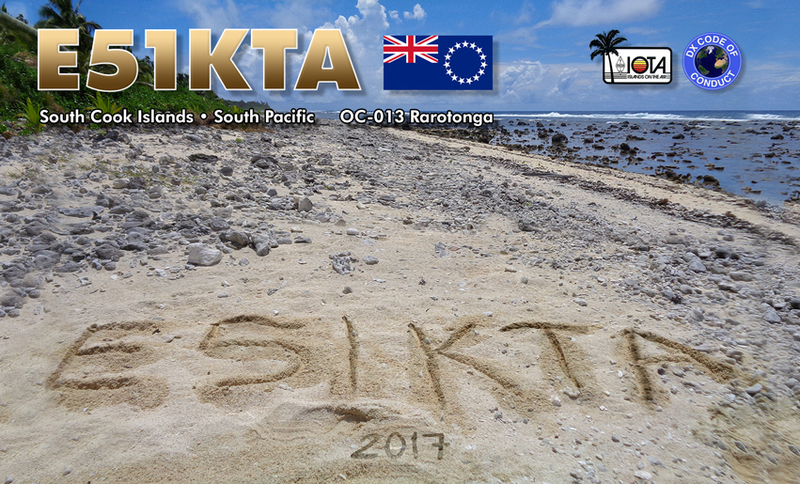 Tnx all for comments about the E51KTA trip which was complete departure from normal QRP operation for once as I used a locals shack with his PA and antennas. 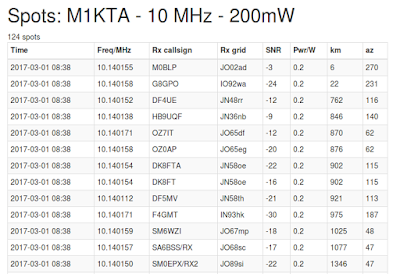 Propagation conditions were very difficult and I noted that sending a CQ QRP CQ on most bands did not result in any QSO and never appeared on the reverse beacon network. 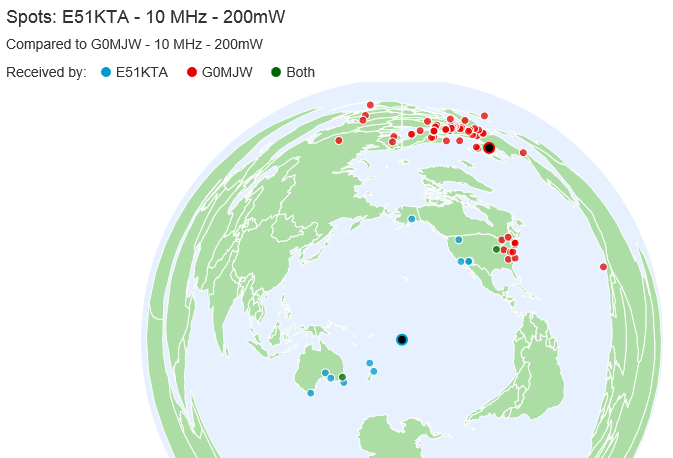 A 200mW 30m WSPR beacon was left running for a several days and the signals just abouit reached about the pacific with one or two spots on the US west coast which just showed how bad things were. The antenna feeders at QTH needed some care and I was glad to spend some time analysing and fixing the feeders. For this use the MiniVNA was an excellent bit of kit to take. Some feeders that were Belbin 9913 (better than RG213) the velocity factor had dropped from 82% when new to c70% due to moisture ingress and the outer shielding was often corroded over the lengths. 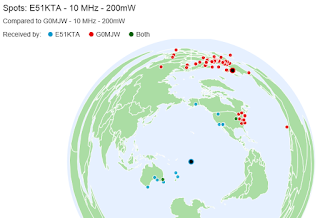 The cook Islands is definitely not a kind place for permanent RF installations. I left some red liquid rubber to perhaps help protect some of the connections. QRT three evenings (local) early mornings EU/UK time in the end due to WX (all feeders were disconnected due to local lightening) and another visiting amateur using the shack. In these days of instant internet communication you have to be prepared for the bad comments as well as the good these days I guess so you have to give the arm chair DXers their opportunity to rant a bit about it having been a 'holiday' operation, it wasn't! Perhaps they should go themselves? Last I'll say on it. 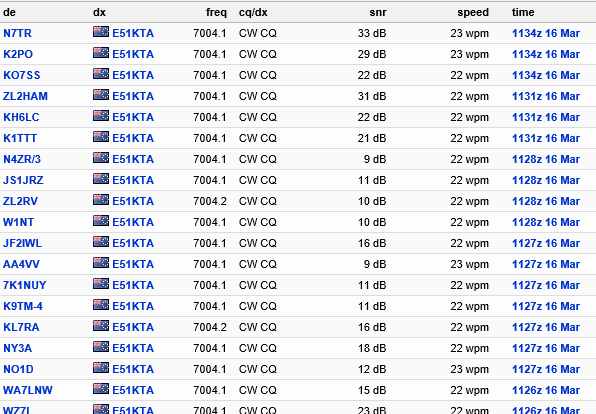 2734 is my QSO count including the BERU contest. 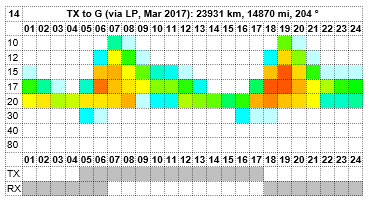 Thanks especially for all the ATNO notes, I tried to get as many of you in the logs as I could in what were definitely trying propagation conditions. I never concentrated any effort on 20m SSB as that has been done so many times by so many ops, 20m CW likewise. 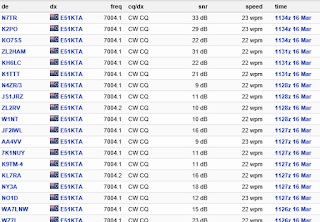 Had I done the QSO counts would have been much higher. 160m was a lot busier than expected at first, so was 40m CW. 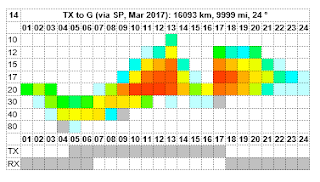 17m SSB ended up being 3 short evenings of 3hr pile ups whilst the path to EU was open. 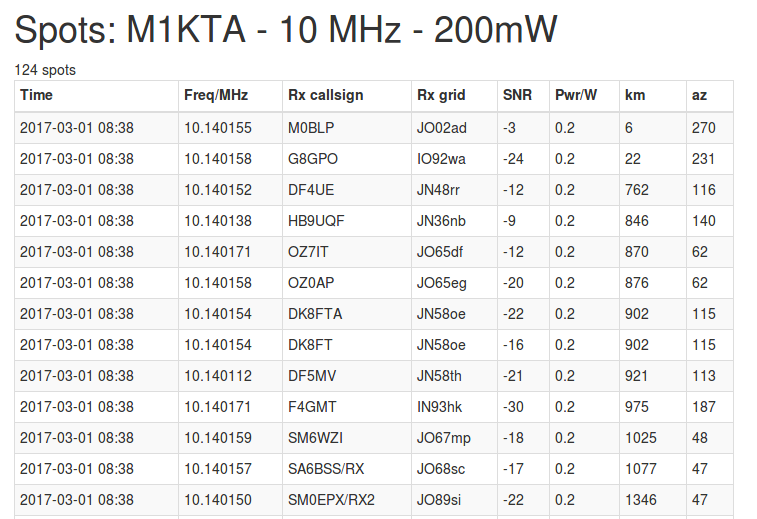 Only a few 30m QSO (was only running 15W on that band in the end) but certainly shows promise. I left a 2 el 40m vertical directed at EU with E51AND so I hope that will find some use with others. It is not steerable right now but the choice of direction for me was obvious, it will be the RX signal improvement that is important. A 30m GP was left as well. 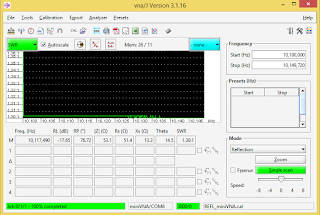 I will work on and send a control box to make the 40m 2 el partly steerable. Was surprised the QRN was no where as bad as expected on LF, yes was there but nothing like what I was prepared for and most days no issues to speak of. You could definitely hear the atmospheric QRN on 40m and the new antenna showed it's ability well as it managed to null out that noise efficiently. I am sure I will return to E5 and I have lined up the major logistics for a E5/N target now too (with a PA again) but will not say more. There is another going to a rare E5/N group in a few weeks will be interesting to see how he does. Well the 30m GP (was 4sq) is working fine as WSPR beacon antenna (will try some SSTV/CW tomorrow. Whilst work on 40m stuff seems 30m GP works. I love this one. The feed point is about 2.5m up.... as this was where the element got to when secured from the top of the pole. Helically wound again. 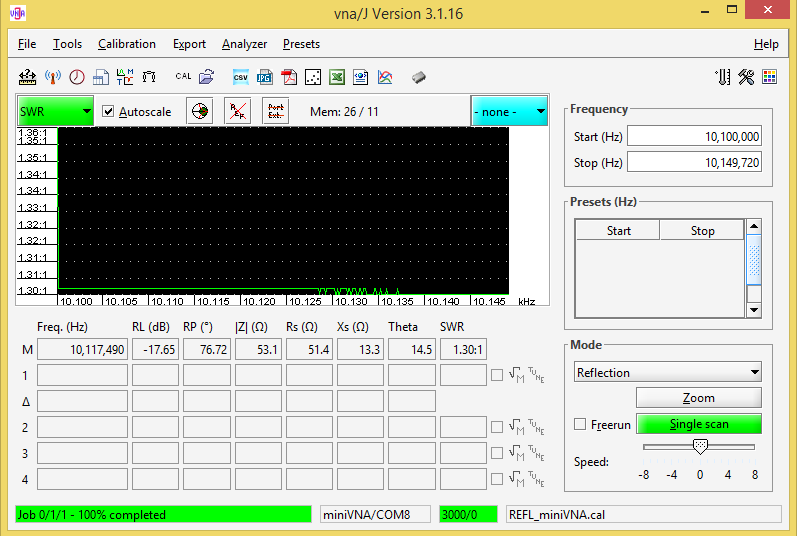 The radials were all added to fit the freq, lowered from the 4sq versions which were 100kHz higher than the overall. 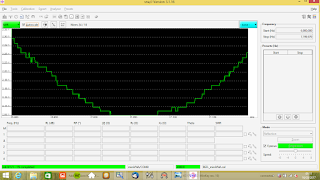 The 40m 2el is performing better than expected. It is a vertical and I am near the see and surrounded by water so it is great for LONG skip stuff, so the UK hits that spot on 40m just right.... Sadly issue with being QRO is as everyone hears me well I get all the stations calling so the noise levels rise. I think the VSWR is OK. About 4th attempt. Elements were 42 and 48cm too long (front/back). Design got tweaked a bit as wanted more front gain but didn't want elements as close as 1/8th wavelength apart. Not switching this is all or nothing in one direction. Andy E51AND made up the little box after a shopping trip and rummage for bits. Just laying it out. It is directed towards UK. M1KTA Office gets everywhere. Wearing socks with the sandles as there are these red ants in the grass, ouch when they bit. Measuring up... so hot sweat buckets so change of T shirt to Stewart Island one. Knew the tape measures would come in handy. One of the feed points. Belbin 9913 coax and those ARE M5 brass nuts, washers and wing nuts from 30m 4SQ. 10m travelling poles just bit too short so helically wound the element on it. Lots of ground based radials. So going to try an put up a 2 el 40m vert array, I don't want to switch and will just direct to UK then it is down to what I have to hand. and the radials are 1.5mm insulated wire, all a quarter wavelength long. The feedpoints will be on the ground maybe 0.25m above ground as are the radials. As independnt 40m GP they are fine. phasing line will also be an electrical 1/4 wave so you end up with 1/4 on one side and 1/2 on the other. The main feed from the shack is decent 50ohm. I need to be sure know what length of 75ohm 0.83 vel factor (KNOWN) I need to create the two sides for 40m verts before I cut it? I have calculated them but now going to wait before proceeding. on one end so got one go at this. Please DO NOT use macros that send endless RYRYRY before any transmission seriously not needed. Please DO NOT use macros that send yout cats name, inside leg measurement etc... I will not be interested. I will KNOW MY call sign I do not want to see it multiple times .... make sure I hear yours but don't send it endlessly either. Thou shalt not transmit when I send KN, unless YOUR call sign is seen. If I am running split please don't TX on my TX frequency unless you want the local cricket club (baseball team if not from UK) to use your head for the next nets practice. SHORT qso only please, I do not care to know your locator either, call sign only please. Some random videos of the bits. Internals.... Its a hybrid coupler, made for just a single band, you have two resonant circuits back to back and you get different phase signals out. You calculate the value of L and C you need to build based on the XC and XL values. (See previous posts for the links on those or buy the ON4UN book and wade through the maths). Note the C between the windings in the coils is important as well. Built for way more power than I'd ever use but this will be usable up to KW power levels. A 100% QRP unit can and is much much smaller. I have a good image "somewhere" that shows the phase differences between the signal in and the 4 antenna ports so you can see how the outputs change so you get constructive and destructive interference and thence gain in one direction or another. You can then select different antennas positions to act as 'primary' and so you 'move' the pattern of constructive/destructive interference around. Anyway it works and does what I want it to. Interesting question... have I actually built a 30m 4SQ and will I have it on E5..ho hum... disbelieving toe rags perhaps... Honestly use depending on location but I't is travelling with me. Anyway as was about to pack up the bits I thought I'd show the guts of the kit. The 4 GP and feeders are already in the bag packed. I am sure people don't need to see those :-) The PCB I was given came from SJ2W contest station. I had bodged a point to point version before following ZL2IFB's designs. It all sits in an IP56 (or was until I drilled holes) box with a clear cover, off for photos. I liberally cover all connectors with liquid rubber once it is in place to reduce the effect of salt corrosion etc. Anyway couple of photos etc.. as was just confirming with the longer control cable and the actual voltage needed (12V not enough) needs to be about 14V at the control box to switch the relays. Boxes left to right... Ex ATX PSU (12V) into KX3, short feed into 4 SQ hybrid coupler, short feed into silver box which is dummy load, grey box is 4 SQ controller and dummy load RF sense. White cable is the actual control cable. 2x100ohm resistors in parellel as load on all 4 ports. I kept adding AA batteries until the relays actually switched and held in place... 14V so now I know... so I'll use a 12V powered 15V airplane laptop adapter I have. I also tried the RF sense with 100m of RG174 but no difference, I'll have 100m of decent coax with me just for this but I can double up as feeder for something else. 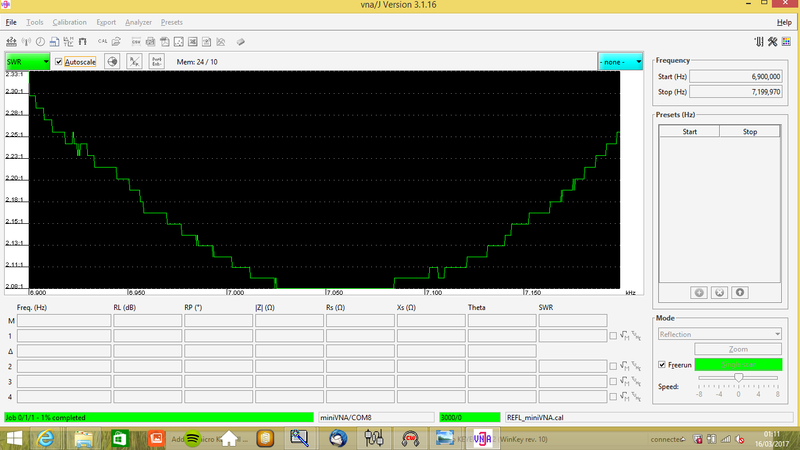 Scope probes attached and you can see the different signals at different phases. I'll tweak the setup on E5 for directivity I need. 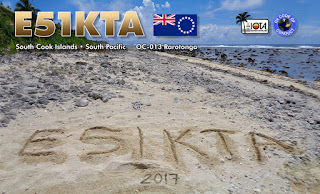 E51KTA should be QRV Narrow Mode MP73N SSTV on 30m 10.132MHz or 10.144MHz (ish so please LISTEN) AFTER the BERU contest for those interested in the mode. If no takers to a CQ then will not run for long and will use 30m 4SQ for RTTY and CW. 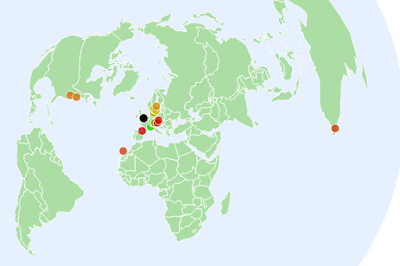 I think the 30m 4SQ verticals (as one GP not as the 4SQ) are working. I'll rework them into the 4SQ configuration later, complete with liquid rubber all over the connections from the 75 ohm feeds so they survive a week by the beach hopefully, maybe up on Friday and then pack, next time out will be in E5/S.